This very nicely styled adjustable shower head with sliding rail is manufactured in a quality chrome on brass construction. The Elle bathroom shower rail is 600mm long with a smooth contemporary shower hose that is 1500mm. 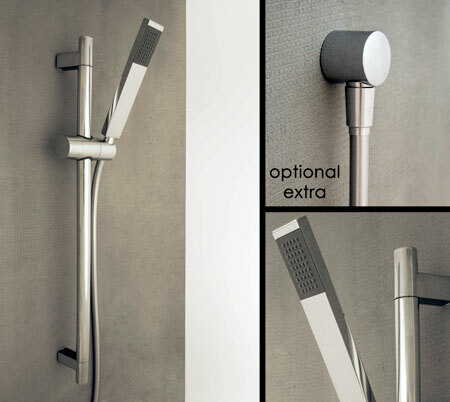 This adjustable shower head will enhance any bathroom shower or wet room.